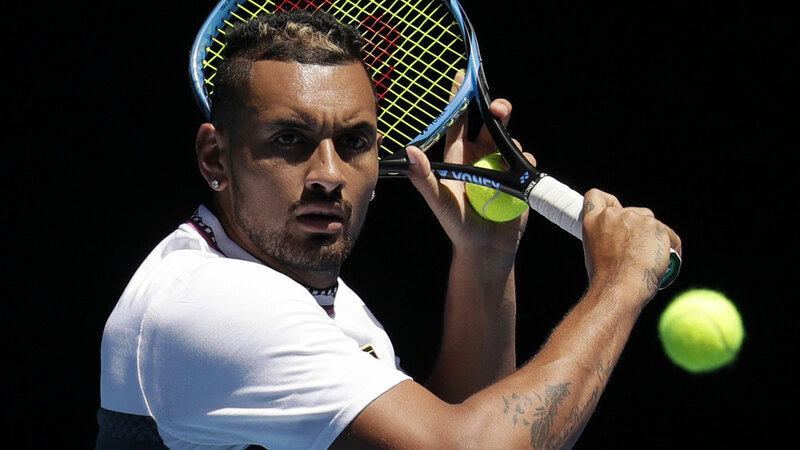 Nick Kyrgios continued his social media war with a US tennis reporter during Thursday night’s Australian Open semi-final between Rafael Nadal and Stefanos Tsitsipas. Kyrgios couldn’t help but reignite his feud with New York Times tennis journalist Ben Rothenberg, when the writer took to Twitter to express how astounded he was about Nadal’s easy path to the Australian Open final following a straight sets demolition of the Greek star. The 17-time major winner stormed into the semi-finals without dropping a set in five successive matches, which replicates Nadal's winning run at the 2009 Australian Open. “Gotta admit, I would have never guessed that Nadal’s toughest match en route to the #AusOpen final would wind up being his R1 against James Duckworth, which is how it looks so far tonight,” Rothenberg tweeted. Despite going down in straight sets, Duckworth took the most amount of games off Nadal in their first round clash, with the Aussie falling 6-4 6-3 7-5. Rothenberg then tweeted a story he had written about Tsitsipas and Kyrgios replied with a GIF of US TV host Steve Harvey shaking his head. The two have been trading shots for years, with Kyrgios slamming Rothenberg after the US writer highlighted the Australian’s propensity to rack up fines on tour in 2017. The two also clashed after the journalist called out Kei Nishikori for withdrawing from the Halle Open tournament for the third straight year in 2017. Kyrgios also took exception to a column written about Lleyton Hewitt in 2016, with Rothenberg declaring Hewitt should bench himself for the Davis Cup. No doubt these two will keep up the chatter sometime soon despite Rothenberg confirming “the cupcakes offer will never expire,” according to Deadspin.